Put the fun in functional with Jayco Eagle fifth wheels and travel trailers that fit perfectly into any RV lifestyle and budget. 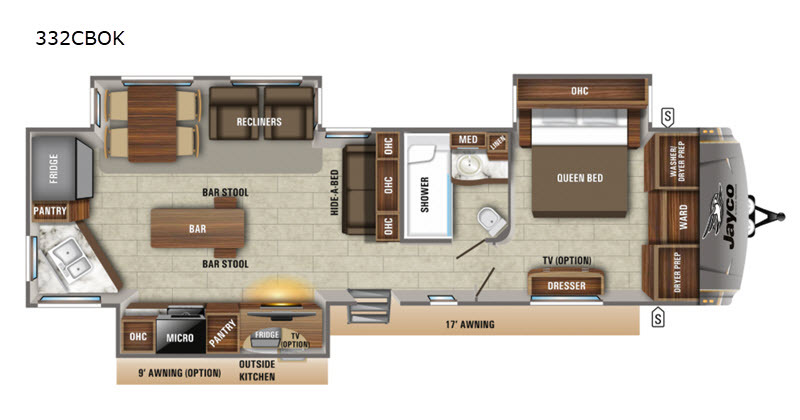 With more space, superior construction, and luxurious interiors, the Eagle is a refreshing twist on the ordinary. 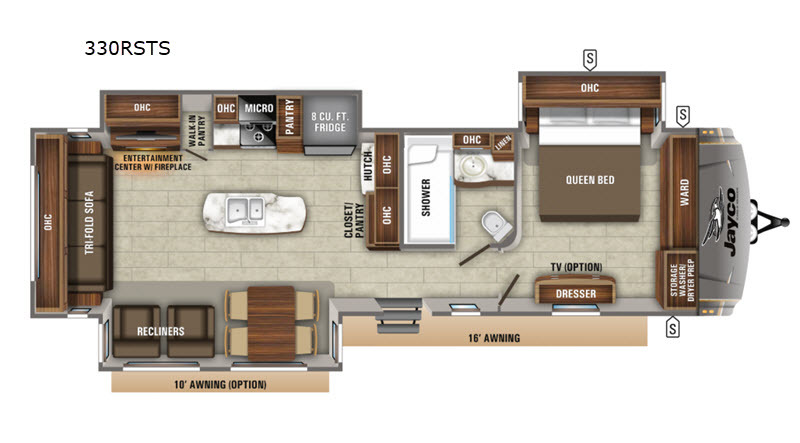 Add to that all of the upscale and residential amenities and finishing touches, and the Eagle is a welcomed upgrade from the usual RV. 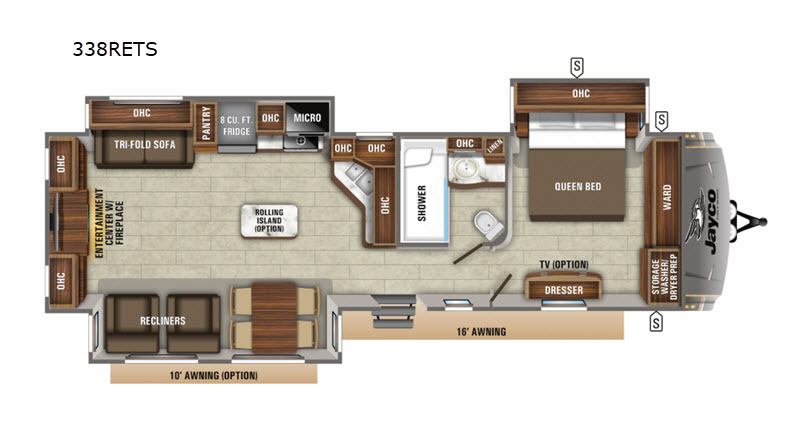 Unique, industry-defining designs and features paired with best-in-class construction set the Eagle fifth wheel apart from the competition, year after year. 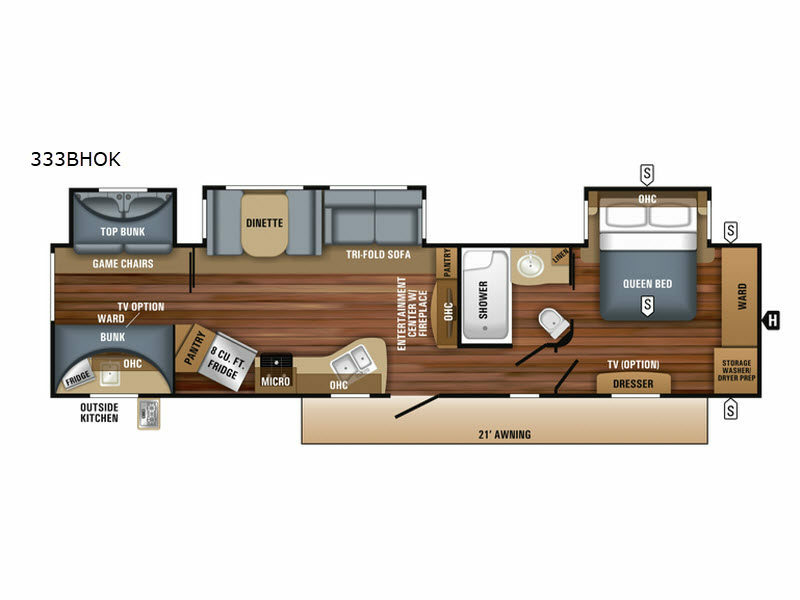 A well-appointed blend of comfort and function, the Eagle travel trailer lineup is brimming with a list of premium standard features and thoughtful options. 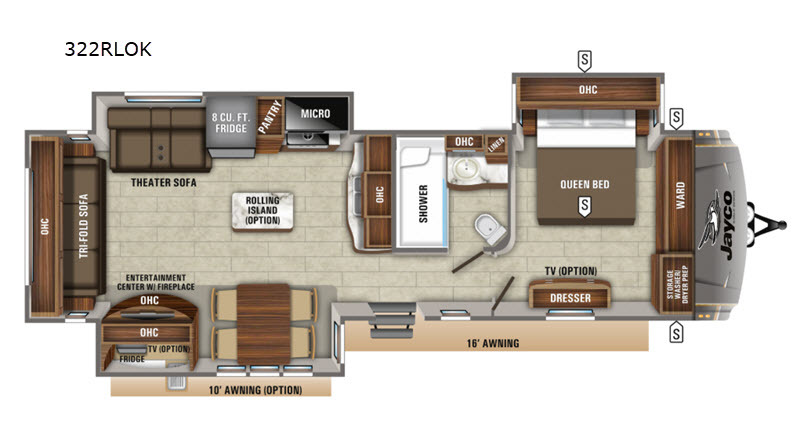 Get ready for your next retreat and choose an Eagle fifth wheel or travel trailer from Jayco today! "Rain-proof EZ Breeze™ 350CFM bathroom power vent (patent pending, a class exclusive)"